As announced prior to the beginning of the 2007 legislative session we are publishing in our legislative report the actual recorded vote of each member of the Senate and the House on all bills lobbied for or against by PBA. This information is being provided so you may see how your respective Senator or Representative has voted on issues of interest to you. We ask you to take advantage of this and inform yourself as to the position of your elected officials on these issues. This bill was introduced by Senator Tollison at the request of PBA. The legislation was intended to aide in providing a basic due process procedure for municipal officers in all administrative actions. The legislation would not apply to agencies covered by civil service or those having such a procedure already in place by ordinance. The purpose of the legislation was to assure that from one administration to the next officers would have an appropriate opportunity to defend themselves in administrative cases. To provide a fair and impartial process for determining the truth in such issues and help assure that officers are disciplined due to misconduct rather than personality conflicts or politics. 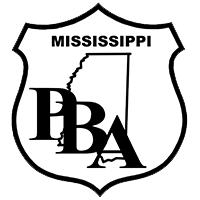 The bill was lobbied against in unity by the Municipal Association and the Mississippi Association of Chiefs of Police. The bill passed the legislature, narrowly passing the Senate by two votes. The bill was vetoed by Governor Barbour. His veto message citing the reasons for his veto are show below. It is important that you as law enforcement officers in this state read this message and draw your own conclusion. I am returning Senate Bill Number 2760: "AN ACT TO REQUIRE MUNICIPALITIES TO PROVIDE A PREDISCIPLINARY HEARING PRIOR TO THE SUSPENSION OR TERMINATION OF ANY LAW ENFORCEMENT OFFICER; TO ESTABLISH A MINIMUM LEVEL OF WRITTEN DUE PROCESS PROCEDURES; TO SPECIFY WHAT NOTICE SHALL BE PROVIDED TO THE OFFICER; TO PROVIDE THAT THE OFFICER MAY ATTEND THE HEARING, MAY BE REPRESENTED BY COUNSEL, MAY PRESENT EVIDENCE ON HIS OWN BEHALF AND QUESTION WITNESSES; TO PROVIDE THAT THE EVIDENTIARY PHASE OF THE HEARING MAY BE HELD IN EXECUTIVE SESSION; TO PROVIDE THAT FINAL ADJUDICATION SHALL BE HELD IN OPEN MEETING; TO EXEMPT MUNICIPALITIES THAT HAVE A CIVIL SERVICE COMMISSION OR DUE PROCESS POLICY; AND FOR RELATED PURPOSES" without my approval, and assign the following reasons for my veto. After full consideration, I am vetoing Senate Bill 2760, which would establish new personnel procedures for police departments throughout the state and impose a new unfunded mandate on our cities. By imposing new bureaucratic rules, police chiefs throughout our state will lose their ability to effectively manage their departments. Instead of focusing on fighting crime, they will be burdened with needless paperwork and bureaucracy. Protecting the public's safety is why government was first created. Senate Bill 2760 would make it more difficult for cities to quickly terminate law enforcement officers who are not adequately protecting our citizens. We should give our law enforcement leadership the tools and flexibility they need to fight crime and not tie their hands with needless new laws and regulations. For these reasons, I urge the members to reject Senate Bill 2760 and sustain the veto. Yeas--Albritton, Bryan, Butler, Chaney, Chassaniol, Cuevas, Dawkins, Frazier, Gollott, Harden, Horhn, Jackson G. (15th), Jackson R. (11th), Jackson S. (32nd), Jordan, Lee E. (47th), Little, Morgan, Posey, Simmons, Thames, Thomas, Tollison, Turner, Walley, Walls, Williamson. Total--27. Michel, Moffatt, Nunnelee, Pickering, Robertson, Ross, White, Wilemon. Total--25. Absent and those not voting----None. Robinson (63rd), Shows, Smith (27th), Smith (39th), Snowden, Staples, Straughter, Stringer, Thomas, Vince, Warren, Watson, Whittington, Young, Zuber, Mr. Speaker. Nays--Baker (8th), Baker (74th), Banks, Bondurant, Bounds, Buck, Clark, Denny, Ellington, Espy, Formby, Gregory, Gunn, Hamilton (6th), Hamilton (109th), Howell, Hudson, Ishee, Jennings, Martinson, Masterson, Mayhall, Mims, Moore, Palazzo, Reed, Rogers (14th), Rogers (61st), Rotenberry, Scott, Simpson, Smith (59th), Stevens, Sullivan, Turner, Upshaw, Ward, Walley, Weathersby, Wells-Smith, Woods. Absent or those not voting--Harrison, Lott. Total--2. This bill was introduced at the request of PBA. The purpose of the legislation is to resolve a growing problem which adversely affects many law enforcement officers in the state. A number of municipalities and counties have not been providing the same paid holiday benefits to some of their law enforcement officers as provided to all of their other employees. This legislation mandates that all cities and counties, including the county sheriff’s department must provide the same holiday benefits as afforded to all other county or municipal employees. At one point this bill was being lobbied against by the Association of County Supervisors and was nearly lost. It ended passing the House and Senate with a unanimous vote. A special thanks goes to a number of persons who were actively involved in supporting this legislation through the process. On the House side were Representatives Eric Robinson, Linda Coleman, and Angela Cockerham. On the Senate side were Lt. Governor Amy Tuck, Senators Videt Carmichael, Nicky Browning and Gray Tollison. Yeas--Akins, Aldridge, Arinder, Bailey, Baker (8th), Baker (74th), Banks, Barnett, Beckett, Blackmon, Bondurant, Bounds, Broomfield, Brown, Buck, Burnett, Calhoun, Chism, Clark, Clarke, Cockerham, Coleman (29th), Coleman (65th), Compretta, Cummings, Davis, Dedeaux, Denny, Dickson, Eaton, Ellington, Ellis, Espy, Evans, Fillingane, Flaggs, Fleming, Formby, Franks, Fredericks, Frierson, Gadd, Gardner, Gibbs, Gregory, Guice, Gunn, Hamilton (6th), Harrison, Hines, Holland, Holloway, Horne, Howell, Huddleston, Hudson, Ishee, Janus, Jennings, Johnson, Lane, Lott, Malone, Markham, Martinson, Masterson, Mayhall, Mayo, McBride, Middleton, Miles, Mims, Moak, Montgomery, Moore, Morgan, Moss, Myers, Nicholson, Norquist, Palazzo, Parker, Patterson, Peranich, Perkins, Read, Reed, Reeves, Reynolds, Robinson (84th), Robinson (63rd), Rogers (14th), Rogers (61st), Rotenberry, Scott, Simpson, Smith (59th), Smith (27th), Smith (39th), Snowden, Staples, Stevens, Straughter, Stringer, Sullivan, Thomas, Turner, Upshaw, Vince, Ward, Walley, Warren, Watson, Weathersby, Wells-Smith, Whittington, Woods, Young, Zuber, Mr. Speaker. Absent or those not voting--Hamilton (109th), Shows. Total--2. Yeas--Albritton, Brown, Browning, Bryan, Burton, Butler, Carmichael, Chaney, Chassaniol, Clarke, Cuevas, Davis, awkins, Dearing, Doxey, Fillingane, Flowers, Frazier, Gollott, Gordon, Harden, Hewes, Horhn, Hyde-Smith, Jackson G. (15th), Jackson R. (11th), Jackson S. (32nd), Jordan, King, Kirby, Lee P. (35th), Lee E. (47th), Little, Mettetal, Michel, Moffatt, Morgan, Nunnelee, Pickering, Posey, Robertson, Ross, Simmons, Thames, Thomas, Tollison, Turner, Walley, Walls, White, Wilemon, Williamson. This legislation raised the in line of duty death benefits from $40,000.00 to $65,000.00 The passing of this legislation gives Mississippi officers one of the highest state death benefits. In the Southeastern United States. These benefits are funded solely by an assessment of fifty cents placed on all citations and criminal fines in the state. These funds do not come from the general funds of the state. Yeas--Albritton, Brown, Browning, Bryan, Burton, Butler, Carmichael, Chaney, Chassaniol, Clarke, Cuevas, Davis, Dawkins, Dearing, Doxey, Fillingane, Flowers, Frazier, Gollott, Gordon, Harden, Hewes, Horhn, Hyde-Smith, Jackson G. (15th), Jackson R. (11th), Jackson S. (32nd), Jordan, King, Kirby, Lee P. (35th), Lee E. (47th), Little, Mettetal, Michel, Moffatt, Morgan, Nunnelee, Pickering, Posey, Robertson, Ross, Simmons, Thames, Thomas, Tollison, Turner, Walley, Walls, White, Wilemon, Williamson. Total--52. Yeas--Akins, Aldridge, Arinder, Bailey, Baker (8th), Baker (74th), Banks, Barnett, Beckett, Blackmon, Bondurant, Bounds, Broomfield, Brown, Buck, Burnett, Calhoun, Chism, Clark, Clarke, Cockerham, Coleman (29th), Coleman (65th), Compretta, Cummings, Davis, Dedeaux, Denny, Dickson, Eaton, Ellington, Ellis, Espy, Evans, Fillingane, Flaggs, Fleming, Formby, Franks, Fredericks, Frierson, Gadd, Gardner, Gibbs, Gregory, Guice, Gunn, Hamilton (6th), Hamilton (109th), Harrison, Hines, Holloway, Horne, Howell, Huddleston, Hudson, Ishee, Janus, Jennings, Johnson, Lane, Lott, Malone, Markham, Martinson, Masterson, Mayhall, Mayo, McBride, Middleton, Miles, Mims, Moak, Montgomery, Moore, Morgan, Moss, Myers, Nicholson, Norquist, Palazzo, Parker, Patterson, Peranich, Perkins, Read, Reed, Reeves, Reynolds, Robinson (84th), Robinson (63rd), Rogers (14th), Rogers (61st), Rotenberry, Scott, Shows, Simpson, Smith (59th), Smith (27th), Smith (39th), Snowden, Staples, Stevens, Straughter, Stringer, Sullivan, Thomas, Turner, Upshaw, Vince, Ward, Walley, Warren, Watson, Weathersby, Wells-Smith, Whittington, Woods, Young, Zuber, Mr. Speaker. Absent or those not voting--None. Yeas--Akins, Aldridge, Arinder, Bailey, Baker (8th), Baker (74th), Banks, Barnett, Beckett, Blackmon, Bondurant, Bounds, Broomfield, Brown, Buck, Burnett, Calhoun, Chism, Clark, Clarke, Cockerham, Coleman (29th), Coleman (65th), Compretta, Cummings, Davis, Dedeaux, Denny, Dickson, Eaton, Ellington, Ellis, Espy, Evans, Fillingane, Flaggs, Fleming, Formby, Franks, Fredericks, Frierson, Gadd, Gardner, Gibbs, Gregory, Guice, Gunn, Hamilton (6th), Hamilton (109th), Harrison, Hines, Holland, Holloway, Horne, Howell, Huddleston, Hudson, Ishee, Janus, Jennings, Johnson, Lane, Lott, Malone, Markham, Martinson, Masterson, Mayhall, Mayo, McBride, Middleton, Miles, Mims, Moak, Montgomery, Moore, Morgan, Moss, Myers, Nicholson, Norquist, Palazzo, Parker, Patterson, Peranich, Perkins, Read, Reed, Reeves, Reynolds, Robinson (84th), Robinson (63rd), Rogers (14th), Rogers (61st), Rotenberry, Scott, Shows, Simpson, Smith (59th), Smith (27th), Smith (39th), Snowden, Staples, Stevens, Straughter, Stringer, Sullivan, Thomas, Turner, Upshaw, Vince, Ward, Walley, Warren, Watson, Weathersby, Wells-Smith, Whittington, Woods, Young, Zuber, Mr. Speaker. This bill addressed an officers safety issue, requiring motorist to slow their speed and when safely possible, move to the lane away from a law enforcement or other emergency vehicle with emergency lights activated. This bill died in the House Transportation Committee.